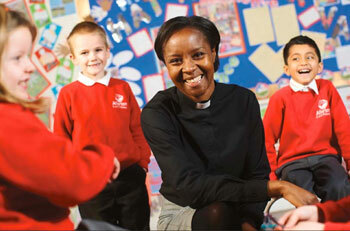 More minority ethnic Anglicans are needed for ordained ministry in the Church of England, says the Archbishop of York. In a foreword to a new booklet on minority ethnic vocations, Dr John Sentamu said there has never been a better time for Christians from minority ethnic backgrounds to respond to God’s call to ordained ministry in the Church of England. “There is a greater need than ever for minority ethnic Anglicans to respond to God’s call to ministry and servant leadership – we need people who are equipped for cross cultural ministry in our increasingly diverse society,” Dr Sentamu said. Everyday People, God’s gift to the Church of England, from the Vocations Strategy Group, a working group of the Committee for Minority Ethnic Anglican Concerns, and the Ministry Division of the Church of England, features the life stories of seven ordained clergy and one Anglican who is currently exploring her vocation. All are of minority ethnic heritage. The booklet, being distributed to dioceses in the Church of England, includes a contribution by the Revd Dr Sharon Prentis, curate at St Matthew’s, Redhill, Surrey, and a mission support officer for Southwark Diocese. The Yorkshire-born former lecturer at Leeds and Huddersfield Universities, who has also worked for the Salvation Army and Oasis Trust, was ordained as a priest last year. Her parents came to the UK from the Caribbean in the 1960s. She said: “In order for the Church to fully engage with and reach out to the whole of society with the message of the Good News of the Gospel, it is important that there is representation from a diverse range of people from different backgrounds in ordained ministry within the Church of England." Dr Elizabeth Henry, the Church of England’s national adviser on minority ethnic Anglican concerns, said there are “significant” numbers of minority ethnic Christians in Anglican churches but minority ethnic clergy make up less than 3% of serving clergy. “Working to increase representation and inclusion of minority ethnic Anglicans at all levels in the Church is not about redressing an imbalance, it is essential to church growth,” she said.